Hasn't enough been written already about Jane Austen? Perhaps it's just my impression, but I seem to be detecting a bit of Austen fatigue. It may be an unintended result of the celebrations of the 200th anniversaries of the publication of her novels (Emma's bicentenary was December 23; next will be those of Northanger Abbey and Persuasion in December 2017, as well as that of Austen's death in July of that year). Or perhaps it's the fallout from the many popular television and film adaptations of her books. But it's remarkable that Pride and Prejudice did not make the top ten of any of three recent lists of the 100 best novels in English (to be fair, Robert McCrum in the Guardian picked Emma instead). If Austen is indeed slipping in critical estimation, I think it may be partly due to a misperception that her novels don't engage with the wider world. As one historian writes, "Jane Austen is commonly regarded as an artist standing outside her own time" . 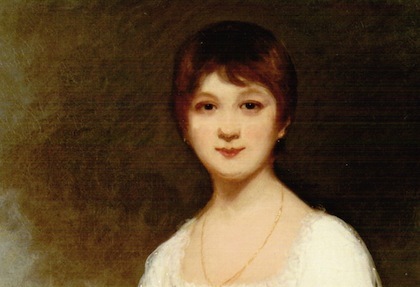 And Austen herself, just about the time she was writing Emma, famously told her niece Anna that "3 or 4 families in a country village is the very thing to work on" —implying not only an intimate scale and heightened realism, but an insulation from larger social, political and economic concerns. For some readers her novels may have come to seem too genteel: what relevance can love stories set among the 19th-century British gentry have for our time of seemingly endless war, rising inequality, and human trafficking? But war, inequality, and human trafficking were inescapable features of Austen's world as well, and the novels actually say quite a bit about these issues—though often implicitly rather than explicitly. I don't mean to suggest that Austen's novels should be read primarily for what they reveal about these concerns: they will forever be read with the greatest pleasure for their "knowledge of the human heart" . But they can be further illuminated and enriched by some awareness of the fabric of the British society of her time. At least, that's my experience, and I hope it will be true for my readers as well. Over the course of the next six months I'm planning to post about the social context of each of Austen's six novels. I'll proceed in the order in which they were published, beginning with Sense and Sensibility (1811) and ending with Persuasion (1818). These monthly posts will accompany my own re-reading of the novels; another hope is that they may inspire your own reading or re-reading. I'm doing this not because I'm the world's greatest expert on Austen or on British society during the reign of George III. In fact, quite the reverse: I have trouble distinguishing a barouche from a phaeton or remembering the difference between a guinea and a pound. But it's precisely because I'm not an expert that I want to learn more about the social dimension of Austen's work, and share what I learn. Of course, there are annotated versions of the novels, and a shelf-ful of books written about the world of Austen by people far more expert (and far better writers) than I'll ever be. But I want to do something a bit different from annotation: I don't plan to explain the meaning of individual words or identify quotations except as they reveal something that Austen is saying about her characters, their circumstances and relationships that would otherwise be hidden from a modern reader. And while there are entire academic and commercial publishing industries seemingly built on Austen, the amount of material is overwhelming. I don't intend to be exhaustive, but to pull together different strands from my reading to highlight issues of particular interest in a concise and useful way. (Longtime E and I readers may be justly skeptical of that "concise" promise, but I'll do my best.) I will list the sources I'm using for each post for those readers who want to explore further on their own. Although it will draw on articles, books, websites and blog posts, this project was chiefly inspired by two writers in particular. The first is Jocelyn Harris, whose book A Revolution Almost Beyond Expression: Jane Austen's Persuasion (University of Delaware Press, 2007) opened my eyes to the significance of the details of the naval allusions in Austen's final novel. And the second is Paula Byrne, whose The Real Jane Austen: A Life in Small Things (HarperPress, 2013) is a fascinating (and very entertaining) examination of a series of objects—among them a family silhouette, an Indian shawl, and a pair of topaz crosses—that illustrate key aspects of Austen's life, work and world. Despite Byrne's tendency to write "must have" and "certainly" where she should have written "may have" and "possibly," her book would have made my Favorites of 2015 list if I had encountered it in time. Rest assured—or be forewarned—that over the coming months I will continue to post on Indian and non-Indian films, opera and other music, and books that have nothing to do with Jane Austen. But while Austen's novels, like Shakespeare's plays, are "not of an age, but for all time" , I hope that learning more about how they reflect the specific era in which they were created will make them more meaningful, and if possible even more enjoyable. So, like Marianne Dashwood in Sense and Sensibility, "'I have formed my plan, and am determined to enter on a course of serious study...By reading only six hours a-day, I shall gain...a great deal of instruction which I now feel myself to want'" . Mansfield Park and slavery III: Mansfield Park, an estate built on "the ruin and labour of others"
A note to my readers: This is my 301st post, and sometime in the next few weeks Exotic and Irrational Entertainment will have surpassed 300,000 page views. Many thanks to all my readers and commenters over the last eight and a half years; it means a great deal to me that so many people have taken the time to visit, consider my thoughts and share their own. The picture at the head of this post is the so-called "Rice Portrait," which is possibly of Jane Austen at about age 13. The controversy over the portrait, and the evidence of its authenticity, is very thoroughly discussed in The Rice Portrait of Jane Austen. Oliver MacDonagh, Jane Austen: Real and Imagined Worlds, Yale University Press, 1991, p. 146. Jane Austen in a letter to her niece Anna Austen, 9 September 1814. Emma is, of course, a novel about three or four families in a country village. Walter Scott, "Art. IX. Emma, A Novel" [review]. The Quarterly Review, Vol. XIV, No. XXVII, October, 1815, p. 189. Yes, I think Austen fatigue is a real thing. For 10+ years, all you've had to do to achieve best-sellerdom is to slap the words 'Jane Austen' somewhere on the cover. Jean, many thanks for your recommendation of "What Matters in Jane Austen" and for the link to your review--it sounds great, and I'll definitely read it for the "six months" project. One of the things you mention in your review is Austen's "development of the novel form. She was doing things that no one had done before..." This is one of the key points of Walter Scott's insightful review of Emma and Pride and Prejudice (linked from the post). Perhaps one reason for the current Austen fatigue is that it has become difficult to see her novels with fresh eyes. And that's a large part of why I'm undertaking the "six months" project. I've already been surprised by what I've learned from Harris, Byrne, and other writers, and I'm very much looking forward to John Mullan's book. "it has become difficult to see her novels with fresh eyes." Yes, I'd certainly agree that that is a reason for Austen fatigue too!